If you own a standby generator, you will want it to be in working order at all times. It would be horrible to find out that you need standby generator service during a time that a working generator would come in handy. To help you prevent an occurrence like this, here are some signs to look for that indicate you need standby generator service. Visible Damage. In some ways, your generator is a part of your home’s defense against severe weather. But if it’s not completely shielded from the elements, your unit can be vulnerable to the effects of major storms. Keep an eye out for dents, nicks, and any water-related damage. Inspect and test the unit carefully if it has been struck by falling branches or another impact. Failed Or Faulty Self-Test. Many generators have a self-test feature to indicate whether you need standby generator service repairs. Check your standby generator’s manual to see whether your generator has such a feature, and learn how to initiate the self-test and interpret the results. Trouble Starting Up Or Running. If your generator in any way seems to run differently than you’d expect it to, you should consider standby generator service or an inspection from a trusted electrical contractor. Age and wear and tear are normal factors that might affect a generator, but batteries may wear out as well. 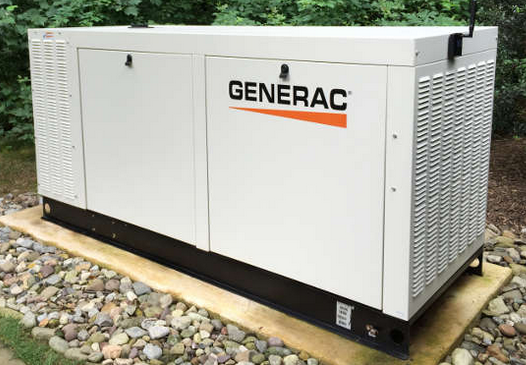 Problems with your generator might be especially noticeable at startup, so pay extra attention as the unit cranks to get some idea whether you need standby generator service. Looking for Reliable Standby Generator Service in the Westfield NJ area? their generator maintenance service. Kohler Generators have the longest manufacturer warranties in the business and a power restore period of up to four times faster than other generator brands. We have a full-time office staff dedicated to accurately process the permit requirements for each town’s specifications. We have both New Jersey state electrical and builders licenses. For more information on our services, you can call us at (908)421-9157 or visit the website. In addition to providing generator service in Warren, we service all of Central NJ including places like, Westfield, North Plainfield, Scotch Plains, Berkeley Heights, Green Brook Bridgewater and more.